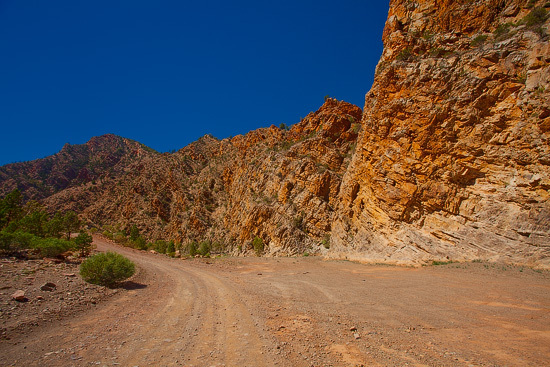 Road through the gorge leads through 130 millions years of history and passes numerous geological layers formed when the whole region was a bottom of the ocean. About 500 million years ago these layers were uplifted and formed a massive rock folding. 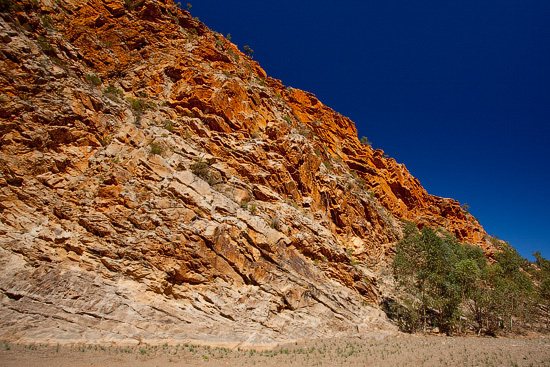 Following erosion process created the gorge – a corridor that leads through the time and allows exploration of these rock layers and periods of time when they were created. 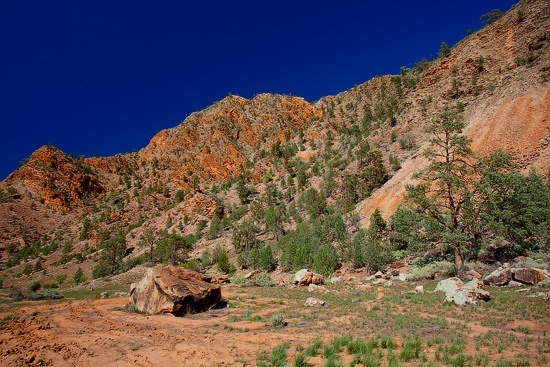 Along the road you’ll see information boards describing geological features, climate details and approximate timeframes. 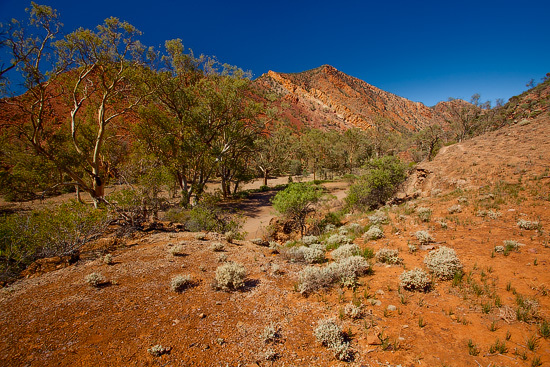 To get the most from this travel through time, I’d recommend driving from the east to west, starting your journey from the intersection of the Blinman Road and Brachina Gorge Road – this way you will see the history of this place in chronological order. 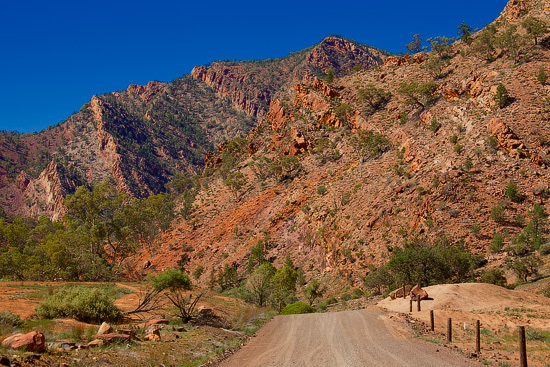 In general, this 20 kilometre unsealed road is suitable for 2WD vehicles, but I’d recommend a 4WD – you’ll have to cross couple creeks and pass over some rocky patches. 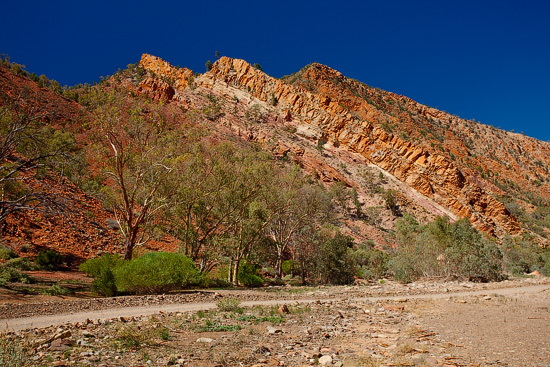 For campers, Brachina Gorge offers a number of well-built camping grounds where everybody can stay overnight enjoying these magnificent rocks from the Cambrian period.